LONDON, Jan. 30, 2007 ) -- CO2 Tech President, Ms. Helga Schotten, today announced that CO2 Tech, a UK-based provider of cutting-edge, anti-global warming technology solutions, will join Boeing's global commitment to support anti-global warming activities and other environment efforts. Pacific Fuel Cell Corp. is a nanotechnology company committed to producing fuel cell components with reduced cost and higher performance in the portable and micro fuel cell market, utilizing nanotechnology. NewGen's mission is to be a leading global vertically integrated manufacturer and distributor of premium biofuels and hydrocarbon blends that are intended to dramatically reduce the environmental and economic impact of world petroleum use. NewGen believes that it has developed the cleanest burning and highest performing fuels in the world by utilizing its own technology that allows for more complete combustion. The energy [r]evolution - A sustainable World Energy Outlook is a report by European Renewable Energy Council (EREC) and Greenpeace that provides a practical blueprint for how to half global CO2 emissions, while allowing for an increase in energy consumption by 2050.
adaptation measures for tackling climate change. " New Sector Poll- is Clean Energy and Renewable Energy the hot sector? Sector Poll - What sector is hot? We see inbound searches from investors as far as what sectors they are tracking so we thought it would be good to see directly from a polling/voting standpoint to see what sector is hot each week.It’s a great way to track trends and see what othe investors are tracking. With the recent media coverage of renewable energy stocks with President Bush's speech this week – it’s no surprise that renewable energy stocks are the leader.Please participate in our sector investing poll and help other investors track what is hot each week! www.EnvironmentStocks.com an investor and industry news portal for the cleantech sector, reports on the growing movement towards ‘green’ products and services that are rapidly becoming a key component of the building industry. With global awareness improving through political support, media coverage, and overall education, the rising popularity of environmentally safe products and materials have received a boost, creating opportunities for sector participants such as International Barrier Technology Inc. (OTCBB: IBTGF; TSXV: IBH), manufacturer of environmentally friendly fire resistant building materials. Buildings have a significant impact on our environment and our economy, which is why there is growing support for improving processes to reduce waste and costs, improve efficiency, promote better health and reduce the effect on the environment. According to the U.S. Green Building Council, buildings in the United States account for 65% of electricity consumption, 30% of greenhouse gas emissions and 30% of raw materials use. Buildings also consume 12% of potable water and produce 30% of waste output. With global warming at the forefront of environmental discussions, reducing greenhouse gases, and improving energy efficiency have helped drive the adoption of renewable energy as a viable option of green buildings. Outside the energy focus, considerable attention in the green building arena is also being given to protecting the environment from hazardous chemicals through the use of products and materials that are non-toxic. Areas where healthier choices can be made include materials such as fire-retardants, paint, carpets and cleaners that are environmentally safe. Research data reveals the risks of toxic chemicals with evidence continually being discovered in areas such as the Arctic where fish, polar bears and other animals are showing escalating signs of chemical contamination. Many man-made chemicals enter our water systems, soil, and air during manufacturing, use, disposal, as well as through leaks and fires. Recent evidence shows poisoning by chemicals commonly used as flame retardants in household items such as carpets, furniture and clothes with data showing a connection between contamination levels in polar bears from the flame retardant polybrominated diphenyls (PBDEs) and the growing rate of hermaphroditism in polar bears. As consumers and businesses become more aware of the risks that many commonly used chemicals can pose on our environment, the level of adoption of non-toxic and environmentally friendly products has increased, rapidly playing a bigger part in today’s commercial and residential construction. EnvironmentStocks.com and RenewableEnergyStocks.com®, investor and industry news portals within the InvestorIdeas.com® content umbrella, do not make recommendations, but offer unique free information portals to research news, exclusive articles and columns, audio interviews, blogs and investor conferences for the environmental and clean energy sector. International Barrier will also be presenting at the InvestorIdeas.com online greentech investor and industry conference: "Investing in the Environment: Global Warming, Global Warning – Investing Today for Tomorrow’s Future"
Visit our growing list of participating public companies in the environmental sector: www.environmentstocks.com/Enviro_Stocks/Stock_List.asp and the renewable energy industry: www.renewableenergystocks.com/Companies/RenewableEnergy/Stock_List.asp. www.EnvironmentStocks.com , an investor and industry news portal for the environmental and cleantech sector announces services for public and private companies to submit news and press releases to online investors and visitors following developments in clean or green technology. In addition, EnvironmentStocks.com offers submission services for freelance journalists, industry experts and analysts to contribute articles and research on the subject. The additional content builds upon the highly visited portal articles, audio interviews, stock news, stock directory, online investor conferences, Blogs, RSS feeds and links. Based on an Investors and Industry global movement in investing in a green future and changing the rapid rate of global warming and environmental damage, EnvironmentStocks.com and RenewableEnergyStocks.com®, have announced an online conference March 21, 2007 as a venue for companies, analysts and experts to share their vision and the investment opportunities. EnvironmentStocks.com and RenewableEnergyStocks.com®, investor and industry news portals within the InvestorIdeas.com content umbrella, do not make recommendations, but offer unique free information portals to research news, exclusive articles and columns, audio interviews, blogs and investor conferences for the environmental and clean energy sector. We have been talking for some time on Investorideas.com and our water-stocks.com portal about the growing concern for pending water shortages on a global scale. With emerging economies and growing populations such as China, India and Vietnam experiencing water pollution due to expansion without managing environmental concerns, the world is taking notice that water sources are drying up and available water sources are contaminated. We note previously in one of our articles relating to China -it is currently estimated that 300 million people, representing one-quarter the population, drink unsafe water". Recent news out of China reports the Three Gorges Dam in central China's Hubei Province had to open the floodgates to deal with the severe water shortages along the Yangtze River. Recent news out of Vietnam facing future water shortages note that water flow has had declined in rivers and streams, and the Red River at Hanoi measured 1.53 meters , the lowest level in 100 years. But its not just in emerging economies – we experienced one of the worse droughts in 2006 in decades. NOAA REPORTS 2006 WARMEST YEAR ON RECORD FOR U.S. According to the report -"U.S. and global annual temperatures are now approximately 1.0°F warmer than at the start of the 20th century, and the rate of warming has accelerated over the past 30 years, increasing globally since the mid-1970's at a rate approximately three times faster than the century-scale trend. The past nine years have all been among the 25 warmest years on record for the contiguous U.S., a streak which is unprecedented in the historical record. " The Impax ET50 Index (ET50) is a performance-tracking index dedicated solely to publicly quoted companies that have core businesses in the development and operation of environmental technologies. The ET50 constituents are the fifty largest by market capitalisation (MC) from the global universe of over 2000 pure-play ET companies identified by Impax Asset Management Ltd. The current range for (pre-adjustments) MC of companies in the ET50 is $800 million to $8 billion. The index is a capital-weighted, non-dividend adjusted global index with further adjustments (a) for non-ET activity and (b) to ensure that no company represents >10% of the index. POINT ROBERTS, WA and DELTA, BC – January 12, 2007, www.InvestorIdeas.com, and its greentech portals, global investor and industry resources for the renewable and clean tech sector, announce its upcoming online investor conference on ‘Investing in the Environment’ available March 21st, 2007, starting at 9:00 am EST and archived thereafter. With issues of energy independence, global warming and environmental concerns including pollution, water contamination and shortages escalating, cleantech investments continue to rise as global political support strengthens. 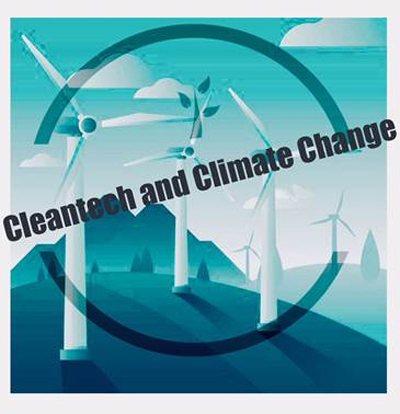 The online conference will include presentations (audio with power point slides) from renewable, environmental, water, clean energy and technology experts as well as public company CEOs providing in-depth perspectives on what is happening in the Greentech sector. Current participating public companies include ZAP (OTCBB: ZAAP), Rotoblock Corporation (OTCBB: ROTB), WaterBank of America (USA) Inc. (OTCBB: WBKA) and International Barrier Technology Inc. (OTCBB: IBTGF). As Speaker of the House Nancy Pelosi calls for “a new America that declares our energy independence, promotes domestic sources of renewable energy, and confronts climate change,” and Governor Arnold Schwarzenegger proposes a Low Carbon Fuel Standard to reduce green house gas emissions by at least 10% in California by 2020, support for ‘green’ technology shows continued signs of growth. It is clear that the fight against climate change has become a global priority evidenced by the recent proposal from the European Commission for the establishment of a new Energy Policy for Europe to combat climate change and increase energy security. In addition, investment into ‘green’ technology continues to grow domestically and internationally. According to the Cleantech Venture Network, cleantech investment for Q3’06 comprised 14% of all North American, and 12% of all European venture investments totaling $1.081 billion for the quarter. The online conference is free to investors and online visitors, with login registration. www.RenewableEnergyStocks.com®, www.FuelCellCarNews.com, www.EnvironmentStocks.com and www.GreentechInvestor.com are global investor and industry research portals that look at the renewable energy and greentech sectors. The portals do not make stock recommendations, but feature industry and stock news, exclusive articles and financial columnists, audio interviews, investor conferences, Blogs, and a directory of stocks in the sector. Disclaimer: Our sites do not make recommendations, but offer information portals to research news, articles, stock lists and recent research. Nothing on our sites should be construed as an offer or solicitation to buy or sell products or securities. We attempt to research thoroughly, but we offer no guarantees as to the accuracy of information presented. All Information relating to featured companies is sourced from public documents and/ or the company and is not the opinion of our web sites. These sites are currently compensated for by its "featured companies." ZAP (OTCBB: ZAAP) and Rotoblock Corporation (OTCBB: ROTB) each pay Two thousand five hundred per month equivalent in shares for one year commencing Nov 2006, discounted as a courtesy to previous sponsorship of the InvestorIdeas Greentech contest. International Barrier Technology, Inc. (OTCBB: IBTGF) currently pays three thousand per month and 100,000 options. WaterBank of America (USA) Inc. (OTCBB: WBKA) currently pays InvestorIdeas.com $10,000 monthly, $4,000 in cash per month and $6,000 in shares per month. Participating companies must adhere to all SEC disclosure requirements. The European Commission today proposes a comprehensive package of measures to establish a new Energy Policy for Europe to combat climate change and boost the EU's energy security and competitiveness. The package of proposals set a series of ambitious targets on greenhouse gas emissions and renewable energy and aim to create a true internal market for energy and strengthen effective regulation. The Commission believes that when an international agreement is reached on the post-2012 framework this should lead to a 30% cut in emissions from developed countries by 2020. To further underline its commitment the Commission proposes that the European Union commits now to cut greenhouse gas emissions by at least 20% by 2020, in particular through energy measures. Commission President José Manuel Barroso said: "Today marks a step change for the European Union. Energy policy was a core area at the start of the European project. We must now return it to centre stage. The challenges of climate change, increasing import dependence and higher energy prices are faced by all EU members. A common European response is necessary to deliver sustainable, secure and competitive energy. The proposals put forward by the Commission today demonstrate our commitment to leadership and a long-term vision for a new Energy Policy for Europe that responds to climate change. We must act now, to shape tomorrow's world". Commissioner for Energy Policy, Andris Piebalgs said, "If we take the right decisions now, Europe can lead the world to a new industrial revolution: the development of a low carbon economy. Our ambition to create a working internal market, to promote a clean and efficient energy mix and to make the right choices in research and development will determine whether we lead this new scenario or we follow others." Stavros Dimas, Commissioner for the Environment stated that "Climate change is one of the gravest threats to our planet. Acting against climate change is imperative. Today, we have agreed on a set of ambitious, but realistic targets which will support our global efforts to contain climate change and its most dire consequences. I urge the rest of the developed world to follow our lead, match our reductions and accelerate progress towards an international agreement on the global emission reductions". Europe faces real challenges. There is a more than 50% chance that global temperatures will rise during this century by more than 5°C. On current projections, energy and transport policies would mean that rather than falling, EU emissions would increase by around 5% by 2030. With current trends and policies the EU's energy import dependence will jump from 50% of total EU energy consumption today to 65% in 2030. In addition, the internal energy market remains incomplete which prevents EU citizens and the EU economy from receiving the full benefits of energy liberalisation. The aim is to give real choice for EU energy users, whether citizens or businesses, and to trigger the huge investments needed in energy. The single market is good not just for competitiveness, but also sustainability and security. The competition sector enquiry (see IP/07/26) and the internal market communication show that further action is required to deliver these aims through a clearer separation of energy production from energy distribution. It also calls for stronger independent regulatory control, taking into account the European market, as well as national measures to deliver on the European Union's target of 10% minimum interconnection levels, by identifying key bottlenecks and appointing coordinators. The Commission proposes to maintain the EU's position as a world leader in renewable energy, by proposing a binding target of 20% of its overall energy mix will be sourced from renewable energy by 2020. This will require a massive growth in all three renewable energy sectors: electricity, biofuels and heating and cooling. This renewables target will be supplemented by a minimum target for biofuels of 10%. In addition, a 2007 renewables legislative package will include specific measures to facilitate the market penetration of both biofuels and heating and cooling. Research is also crucial to lower the cost of clean energy and to put EU industry at the forefront of the rapidly growing low carbon technology sector. To meet these objectives, the Commission will propose a strategic European Energy Technology Plan. The European Union will also increase by at least 50% its annual spending on energy research for the next seven years. At present, nuclear electricity makes up 14% of EU energy consumption and 30% of EU electricity. The Commission proposals underline that it is for each member state to decide whether or not to rely on nuclear electricity. The Commission recommends that where the level of nuclear energy reduces in the EU this must be offset by the introduction of other low-carbon energy sources otherwise the objective of cutting greenhouse gas emissions will become even more challenging. The Commission reiterates the objective of saving 20% of total primary energy consumption by 2020. If successful, this would mean that by 2020 the EU would use approximately 13% less energy than today, saving 100 billion euro and around 780 tonnes of CO2 each year. The Commission proposes that the use of fuel efficient vehicles for transport is accelerated; tougher standards and better labelling on appliances; improved energy performance of the EU's existing buildings and improved efficiency of heat and electricity generation, transmission and distribution. The Commission also proposes a new international agreement on energy efficiency. The European Union cannot achieve its energy and climate change objectives on its own. It needs to work with both developed and developing countries and energy consumers and producers. The European Union will develop effective solidarity mechanisms to deal with any energy supply crisis and actively develop a common external energy policy to increasingly "speak with one voice" with third countries. It will endeavour to develop real energy partnerships with suppliers based on transparency, predictability and reciprocity. Drawing on the consultation process on its Green Paper issued in 2006, the Commission has already made progress towards a more coherent external energy policy as demonstrated by the creation of a network of energy security correspondents. The Commission proposes a whole series of concrete measures to strengthen international agreements including the Energy Charter Treaty, post-Kyoto climate regime and extension of emissions trading to global partners and further extend bilateral agreements with third countries so that energy becomes an integral part of all external EU relations and especially of the European Neighbourhood Policy. As major new initiatives the Commission proposes to develop a comprehensive Africa-Europe partnership and an international agreement on energy efficiency. Concrete action is required urgently. Taken together, the sector enquiry, strategic review and action plan represent the core of a proposed new European Energy Policy. This process seeks to move from principles into concrete legislative proposals. The Commission will seek endorsement of the energy and climate change proposals during the Spring European Council and will come forward with legislation in light of these discussions. Are we that short term thinking ? The Buzz since oil has been down the last few days has taken over into a trend? Have we forgotten how quickly oil can spike? Have we forgotten that little thing called Global Warming? So as consumers viewing the new automobiles - don't forget how quickly fuel prices can spike and do you want to be caught? And for the bigger picture- green autos are the road to the future! We are currently inviting media partners, advertising sponsors and public companies to participate in our upcoming online conference. www.RenewableEnergyStocks.com®, www.Environmentstocks.com, www.fuelcellcarnews.com® and www.Greentechinvestor.com are leading high traffic investor and industry news portals for the renewable energy and greentech sectors, within the InvestorIdeas.com® content umbrella. We are a Top Ranked Investor Site for Renewable Energy and Greentech Stock and Industry Research on Google.com, Yahoo.com and MSN Search, Currently Receiving 10,000 - 15,000 Unique Visitors per Day! We will promote the conference leading up to the day it goes live and archive it for a minimum of three months thereafter - so there are up to six months of exposure for all participants, depending on when you commit. Benefit from being a media partner: Add our conference banner and/or text link to your site/newsletter. Benefit from exposure in our sector specific online conferences and tell your Company’s story in Greentech Up to 6 months of exposure included! Pre-Record your Presentation ahead of time at your convenience- we make it live the day of the conference and archive thereafter. Your profile, presentation and PowerPoint info on InvestorIdeas.com®, through our top Greentech portals, dissemination of press releases to major news wires, online media sponsors featuring our conference info, internal data base dissemination, CD’s purchased following the conference with your company presentation and more. We promote the conferences leading up to the day of the event and archive the conference for 3 months thereafter. Indonesia's SMART signs $5.5 bln bio-energy dealJAKARTA, Jan 9 (Reuters) - China National Offshore Oil Co (CNOOC), Indonesia's PT SMART Tbk and Hong Kong Energy Ltd signed a $5.5 billion renewable energy venture deal on Tuesday, the Indonesian firm said in a statement. The venture will develop crude palm oil-based bio-diesel and sugarcane or cassava-based bio-ethanol. The South African cabinet has approved an ambitious biofuels industrial strategy, announced the Department of Minerals and Energy this week (8 January). It is hoped that the draft biofuels plan will meet 75 per cent of the country's renewable energy target, in compliance with the Kyoto Protocol on climate change, which encourages nations to reduce their reliance on fossil fuels. I was impressed by recent energy user stats from Japan that showed" Japan's population and economy are each about 40 percent as large as that of the United States, yet in 2004 it consumed less than a quarter as much energy as America did, according to the International Energy Agency, which is based in Paris. On a per-capita basis, that means Japan consumed the energy equivalent of 2.8 million tons of oil per person in 2004, in contrast to 5.4 million tons per American. Germany, another energy- conscious country, used 3.2 million tons per person. On other measures, like household electricity use, Japan is also much lower." We feel as we have stated before - that the trend is there for long term change in energy use and technology and this could be an interesting year for the sector !